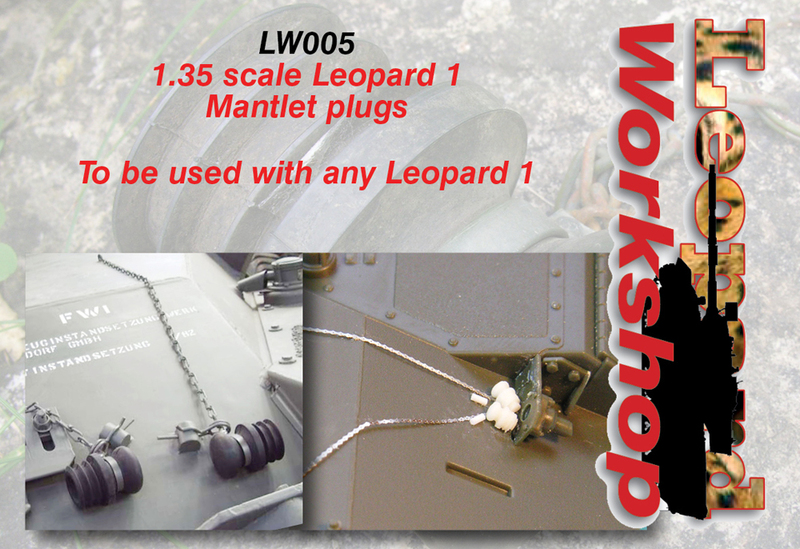 Something always nearly missing from Leopard kits are the rubber plugs that fit into the mantlet apertures. Each Leopard 1 is equipped with four of these. Enough plugs (plus 2 spares) and chains for two models.